Curb appeal continues to be one of the best ways to get potential buyers to "Stop the Car" and want to see your newly listed home for sale. 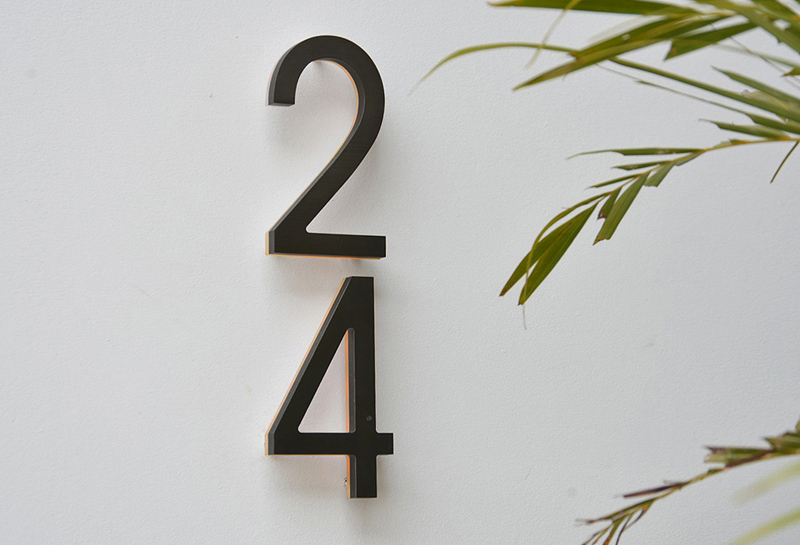 Creating attractive and fun address numbers is can be a simple and creative way add to your curb appeal. We recently came across this cool blog on quicken loans website's blog and thought we could share some of its valuable information. First off, when placing your home's address it should have to primary functions. Make sure to select a style of house number that creatively complements your home rather than clashes with your existing décor and exterior home features. Juan Carlos Daetz, marketing director for MAX Warehouse, a home and garden specialty company, suggested incorporating large metal numbers for an “eye-popping visual” against the exterior of your home. This is typically more appropriate for modern homes and is complemented by a darker brick or wood background. If you live on a dark street, your guests might get lost searching for your house number if it’s not prominently displayed. Having illuminated house numbers is an easy fix to this situation. 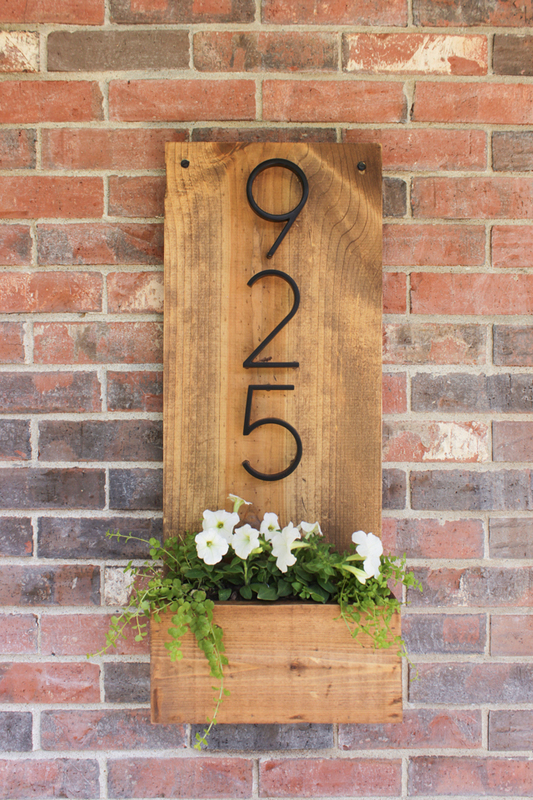 Put your house numbers to work by fastening them to a functional flower planter. What better way to welcome visitors than adding a pop of color and life to your porch? You can use plywood, found at any hardware store – or if your green thumb is inspiring you to go green, consider using reclaimed wood for this project. Shades of Blue Interiors has a great tutorial that breaks down the DIY process perfectly. With just a few nails, some paint, address numbers and flowers, you’re able to transform your house number display into a focal point of your entryway. If you struggle to keep up with fresh flowers, substitute them with faux flowers. That way, you won’t have to remember to water them and they’ll last longer than a season. 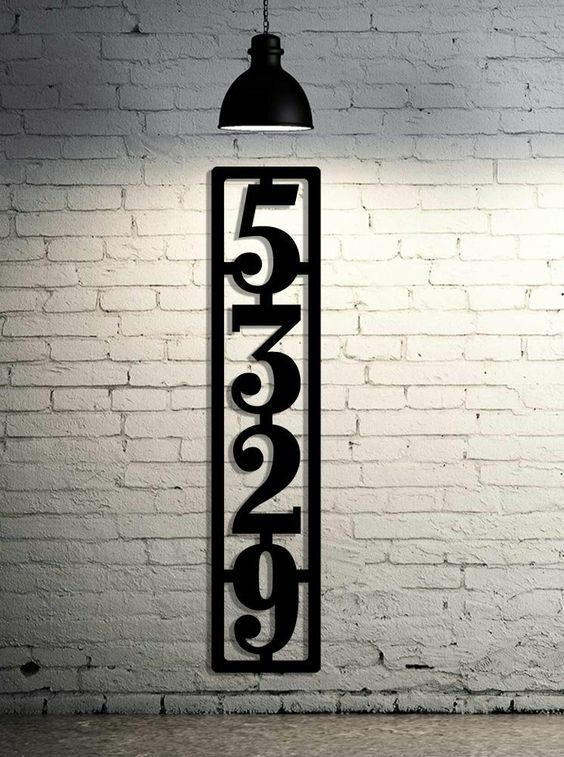 Want more ideas on how to display your home address numbers? Read the rest of the blog for a few more ideas. Click here.